NAPLAN results are out today, and the results have flatlined despite record funding in education. 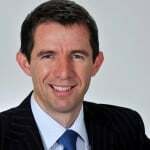 Senator Simon Birmingham is the Federal Minister for Education, and he writes for Mamamia. Most schools and teachers do a great job setting up students for success in life but the plateau in NAPLAN results from the latest data is a call to action for us all. We need to have a sensible conversation based on facts and evidence about what our teachers, educators, students and parents can do to lift performance. For all the focus on dollars in education, now we need some sense. The 2016 NAPLAN results point to an increase in reading scores across the country of 0.40 per cent since 2013, a decrease in writing scores of -0.20 per cent and an increase in numeracy of 1.26 per cent across all year levels. Over the same period there has been a 23.7 per cent increase in federal school funding. "For all the focus on dollars in education, now we need some sense." Image via iStock. A similar story is told in our international rankings where Australia has dropped eight to 10 places in reading, literacy, mathematics and science despite a 100 per cent increase in funding between 1987-88 and 2011-12, adjusted for inflation, and with enrolments growing by only 18 per cent. The important point is that needs-based and strong levels of funding are definitely important to a successful school system, but what’s more important is how that money is spent. The Turnbull Government has not only committed to growing our already-record levels of funding each and every year at affordable levels, but we’re also pursuing evidence-based reforms that will boost outcomes for students. From improving the way our teachers are trained in universities to decluttering the National Curriculum; from our ‘back to basics’ focus on literacy and numeracy to our specialist programs for STEM skills, we’re focused on practical measures that evidence shows will make real differences to the lives of students across the country and will assist them to get a job when they finish their education. The latest NAPLAN results mean Labor’s ongoing fixation with spraying billions of dollars of extra cash at the education system and praying some of it will make a difference can now be thrown in the proverbial policy bin. Real investment in education requires effort on how best to invest funds, not just how much. "Real investment in education requires effort on how best to invest funds, not just how much." Image via iStock. In May the Prime Minister and I not only announced that federal school funding will grow under a re-elected Turnbull Government from $16 billion to $20.1 billion directed according to need, but also stipulated around a dozen practical improvements we want to roll out in the education system. There’s been broad support for our Student Achievement Plan because it’s about focusing on outcomes in literacy, numeracy and STEM subjects, helping to reward our best teachers and better preparing our children for life after school. We want students leaving school with literacy and numeracy skills that are up to scratch, we want teachers getting recognised for their competency and achievement not just their length of service, we want to be able to identify and intervene with Year 1 students who need additional help and we want to give families more transparency so they can monitor their children’s progress and better support them. It’s time to focus on what works in our schools for our students and I look forward to collaborating with all sections of the community to support our students to achieve their absolute best.